We wish love and peace for everyone while entering the new year. We want wars, pains and disasters to be left behind like a year that has passed by. 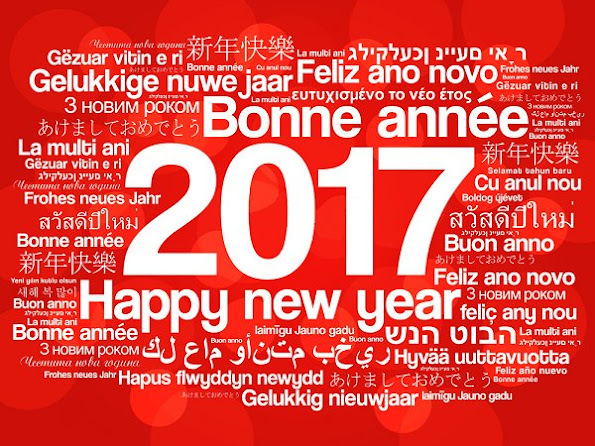 We also wish a safe and happy world in the new year and in the next years. 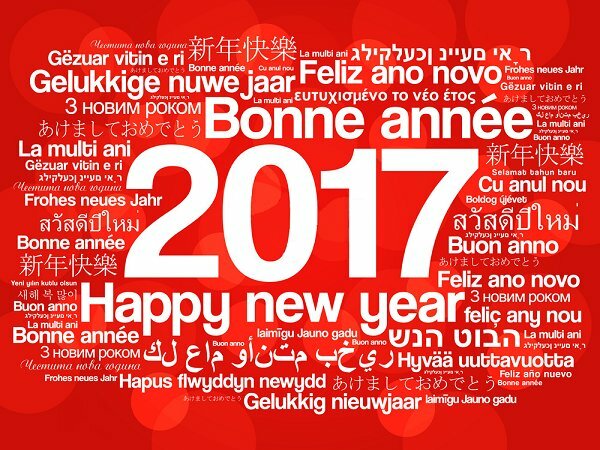 We wish a happy new year for our blog followers hoping that all goodwill wishes come true. Happy New Year! 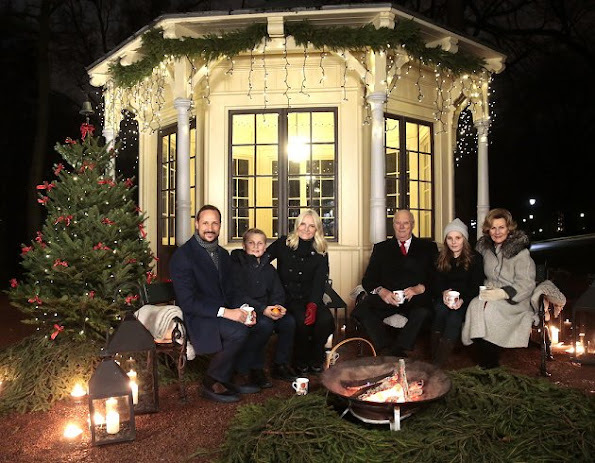 On December 31, according to the tradition, Swedish Royal Court gave on its website the message "A happy new year for everyone" and published new official photo of the royal family. The new photo published was taken during Öland island holiday of Swedish royal family in July. 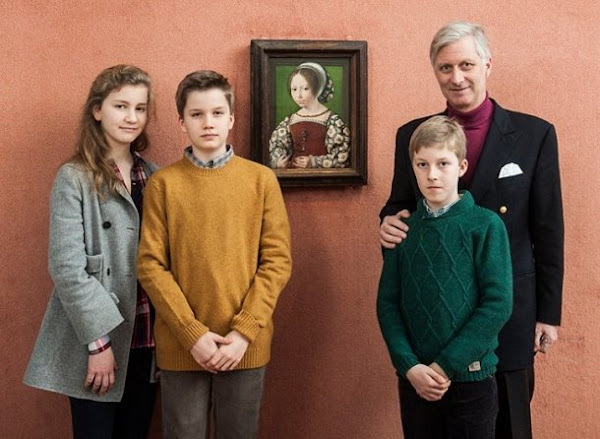 King Philippe of Belgium, his children Crown Princess Elisabeth, Prince Gabriel and Prince Emmanuel visited "In Search of Utopia" exhibition consisting of more than 80 works of art at Leuven Museum (M - Museum Leuven) in Leuven. On December 29, 2016, Prince Laurent, Princess Claire, Prince Aymeric, Prince Nicolas, Princess Louise of Belgium visited Queen Paola at Cliniques Universitaires Saint-Luc hospital in Brussels. Queen Paola, 79, was hospitalised at Cliniques Universitaires Saint-Luc hospital in Brussels after suffering a vertebral fracture caused by a fall. Today is December 29 and Japanese Princess Kako celebrates her 22nd birthday! 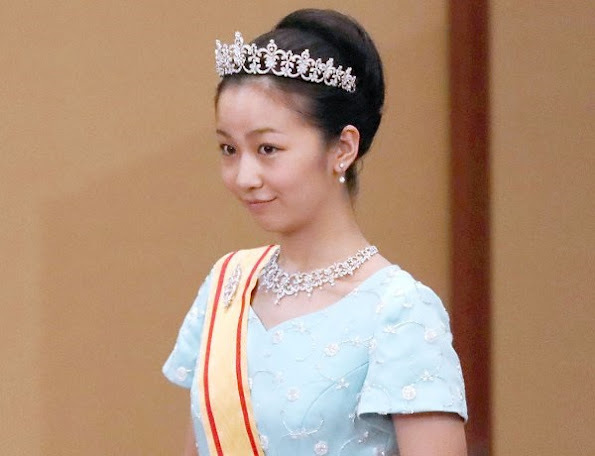 Japan's Princess Kako (born 29 December 1994) is the second daughter of Prince Akishino and Princess Kiko, and a member of the Japanese Imperial Family. Happy birthday to you Princess Kako. There were many events and celebrations for Swedish royal family in 2016. King Gustaf celebrated his 70th birthday in 2016. Two new princes, Prince Oscar and Prince Alexander were born and the royal couple celebrated their 40th wedding anniversary in 2016. 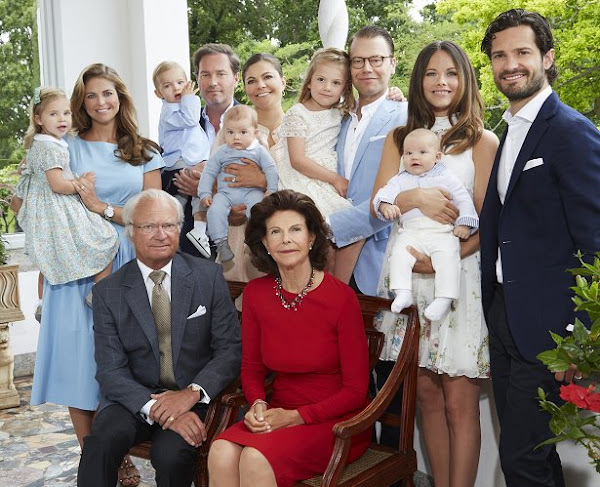 SVT monitored closely travels and celebrations of the royal family both in Sweden and abroad. SVT collected in a video all events including state visits to Japan, Mexico, Bhutan and Germany. 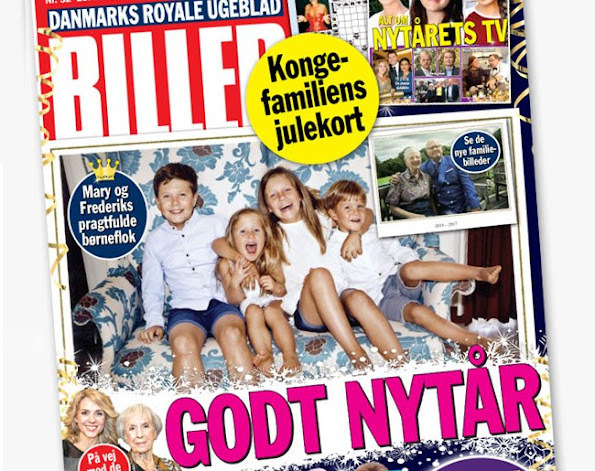 There are Christmas card of Danish Crown Prince family, a postcard of Queen Margrethe and Prince Henrik, new family photos of Danish royal family and several articles in the last issue of Danish royal magazine Billed Bladet. A sad news came from Belgian royal family. 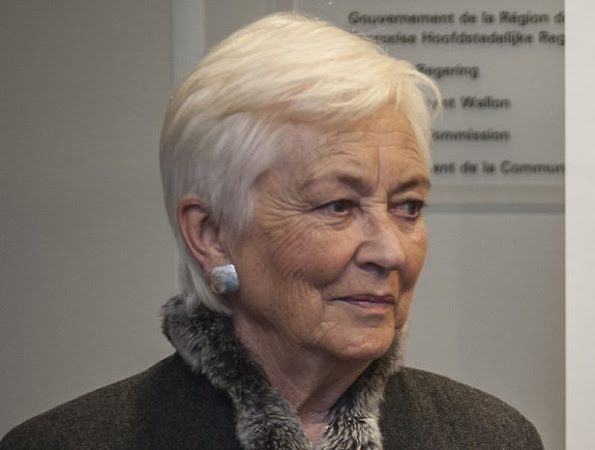 Former Queen Paola of Belgium aged 79 was hospitalized due to spinal fracture that formed after falling down. In the statement made by Belgian royal press office, it was stated that the injury has no neurological complications but the rehabilitation of the Queen will last for a few months. Zara Tindall, granddaughter of Queen Elizabeth lost her baby. Queen Elizabeth, Queen Sonja and Queen Silvia were unable to attend the Christmas service because of common cold. Grand Duke Jean of Luxembourg was hospitalized for bronchitis treatment. We wish all these royals a quick recovery. 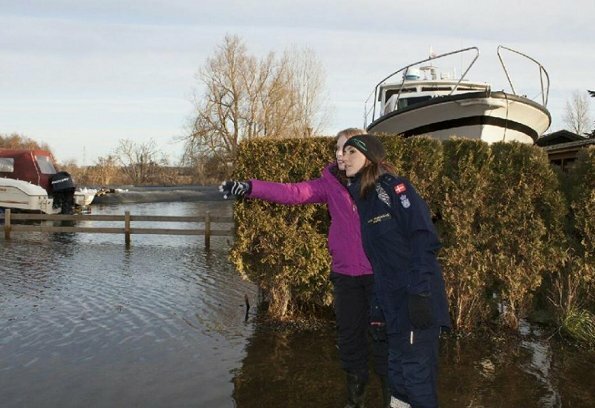 As a member of the Danish Emergency Management Agency (Beredskabsstyrelsen), Princess Marie of Denmark visited town of Jyllinge, after it was hit by Storm Urd on December 26. Storm Urd breaked trees and caused flooding in parts of Roskilde Fjord. 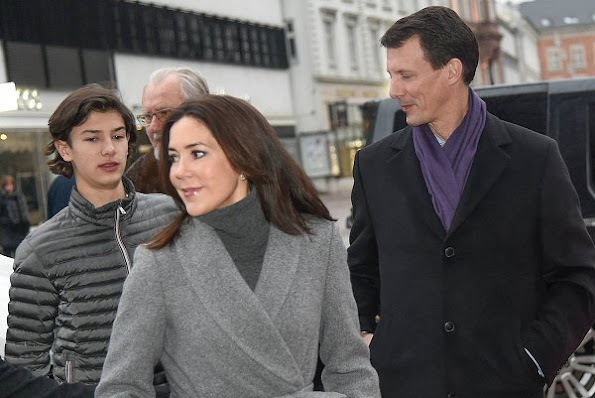 Crown Princess Mary and her daughter Princess Isabella of Denmark arrived to attend the morning Christmas Day service at the Aarhus Domkirke in Aarhus. 25 Dec. 2016. 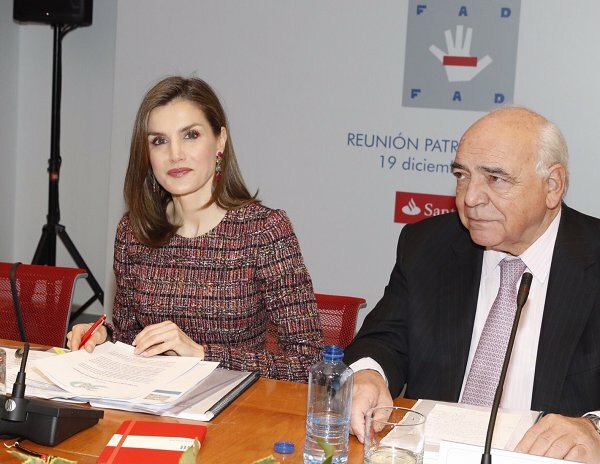 Spanish news magazine Semana made an inspection and evaluation relating to the outfits that Queen Letizia of Spain wore in 2016. 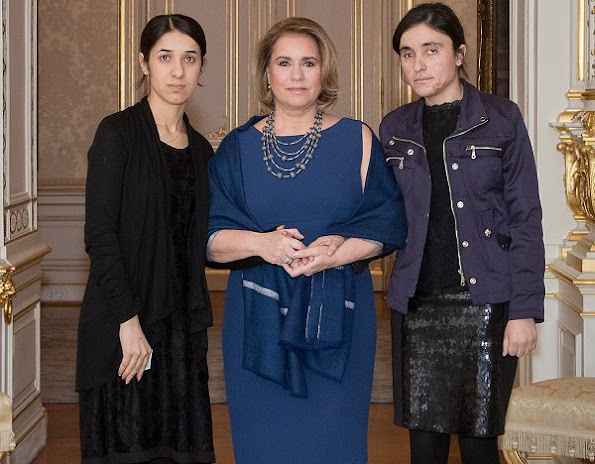 The Nina Ricci Multicolor dress worn by the Queen at the "Mingote Journalism" award ceremony held at Casa de ABC won the gold medal with 10 points according to the evaluation made by Semana in terms of brave choice, risk taken and pushing limits. Prince Philip, Prince Charles, Duchess Camilla of Cornwall, Prince Harry, Princess Anne, Prince Edward, Earl of Wessex, Countess Sophie of Wessex, Lady Louise Windsor, James, Viscount Severn, Princess Eugenie, Princess Beatrice, Autumn Patricia Phillips, Peter Phillips, Isla Phillips and Savannah Phillips attend a Christmas Day church service at Sandringham on December 25, 2016 in King's Lynn, England. On December 25, 2016, Queen Margrethe, Prince Henrik, Crown Prince Frederik, Crown Princess Mary, Prince Christian, Princess Isabella, Prince Joachim, Princess Marie, Prince Henrik, Princess Athena, Prince Nikolai and Prince Felix of Denmark attended the Christmas Day Service at the Aarhus Cathedral in Aarhus. 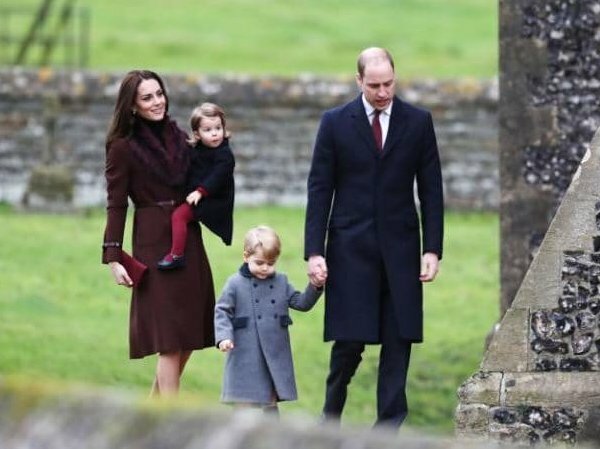 Prince William, Duchess Catherine, Prince George and Princess Charlotte of Cambridge attended the service at St Mark's Church on Christmas Day on December 25, 2016 in Bucklebury, Berkshire. 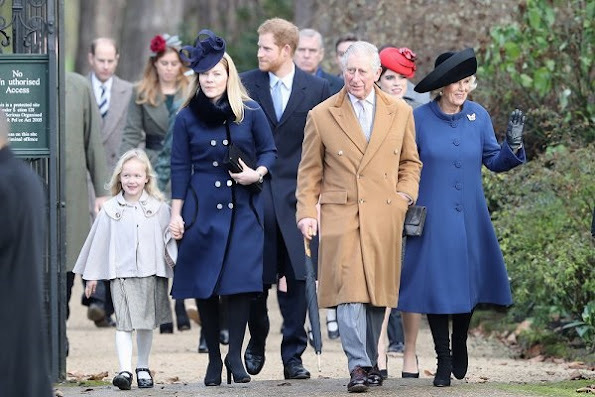 The Duchess wore Hobbs Celeste coat. 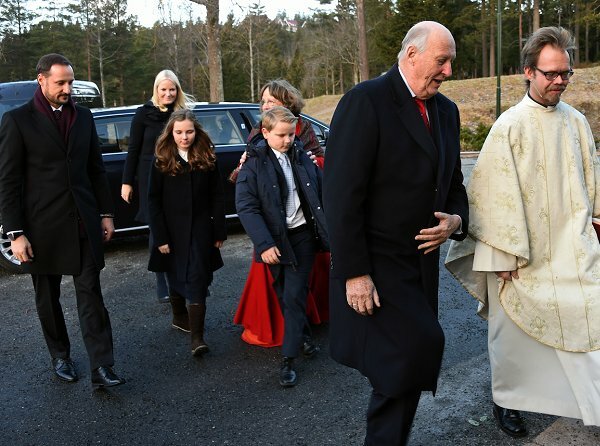 On December 25, 2016, King Harald, Crown Prince Haakon, Crown Princess Mette-Marit, Prince Sverre Magnus, Princess Ingrid Alexandra attended the 2016 Christmas Service at Holmenkollen Chapel (Holmenkollen kapell) in Oslo. 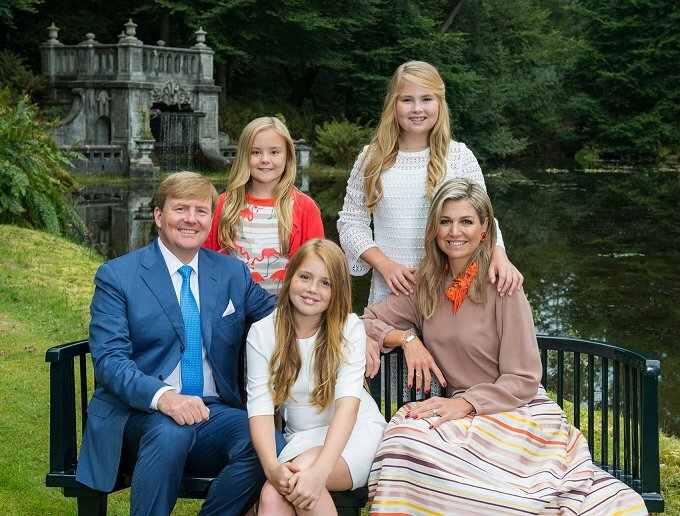 The Dutch Royal Family released their a Christmas photo with the message "Merry Christmas and a healthy and prosperous new year. Willem-Alexander and Maxima." in their official Twitter and Facebook account. 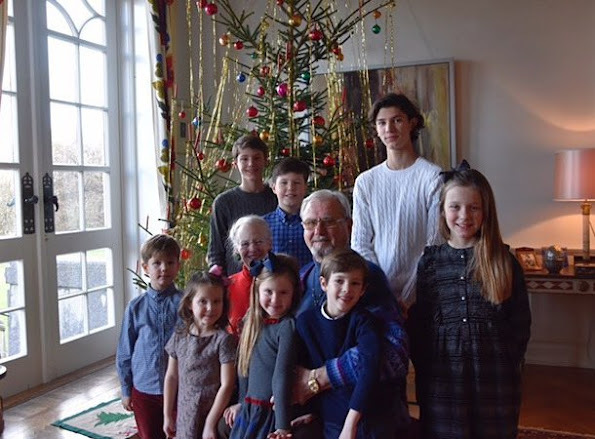 Royal Court of Denmark released a new photo of Queen Margrethe and Prince Henrik together with their eight grandchildren on Christmas Eve at Marselisborg Palace in Aarhus. Marselisborg Slot, is a royal residence of the Danish Royal Family in Aarhus. The Queen's granddaughter Zara and her husband Mike Tindall announced at the end of November they were expecting their second child. 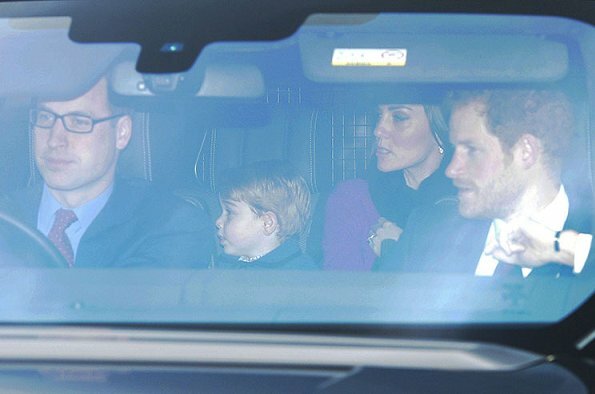 But a spokeswoman for the couple said: "Very sadly, Zara and Mike Tindall have lost their baby. At this difficult time, we ask that everyone respects their privacy." No further details about the circumstances were given but is understood Zara is not in any medical danger. The baby was due around late spring and would have been the Queen and Duke of Edinburgh's sixth great-grandchild. Swedish newspaper Aftonbladet carried out a survey on the popularity of royal family members in Sweden. The survey was made by interviewing with 1.010 persons older than the age of 18 between the dates of November 5-December 5. The information about the results of that survey was given on the royal TV show "Kungligt med Jenney Alexandersson" of Aftonbladet TV. 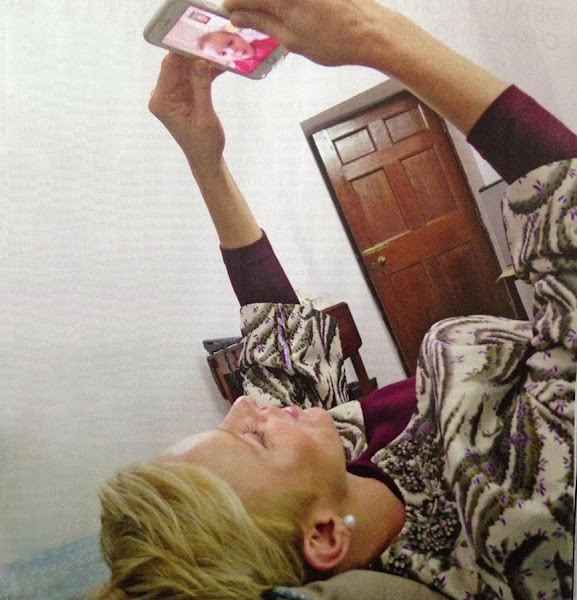 Princess Charlene of Monaco talking with Princess Gabriella via FaceTime on her birthday. This event happened in the Princess Charlene's visit to New Delhi on December, 10, 2016. (Because of the 2016 Child Summit held in New Delhi, Princess Charlene was not with her children's side on their birthday). This photo published on this week's issue of the magazine of Paris Match. 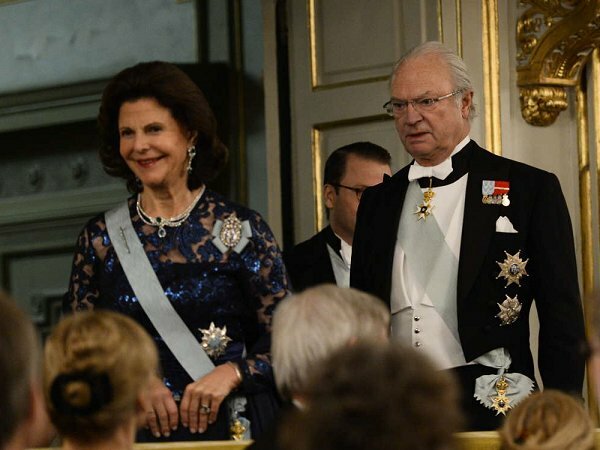 Today is the 73rd birthday of Queen Silvia of Sweden. The Queen was born on 23 December 1943 in Heidelberg, Germany. 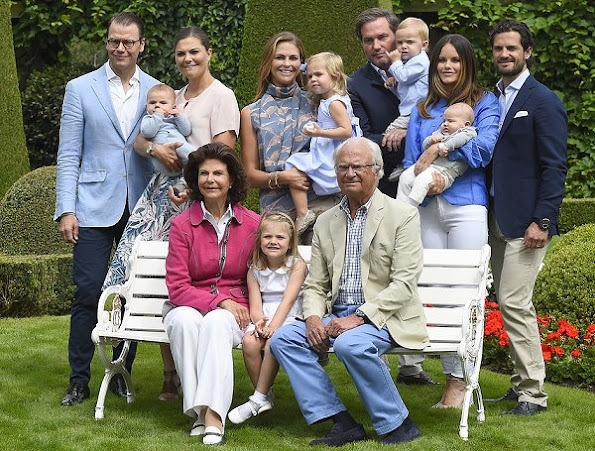 Queen Silvia of Sweden has three children and five grandchildren. Royal Court of Sweden published new photos on the occasion of 73rd birthday of Queen Silvia. 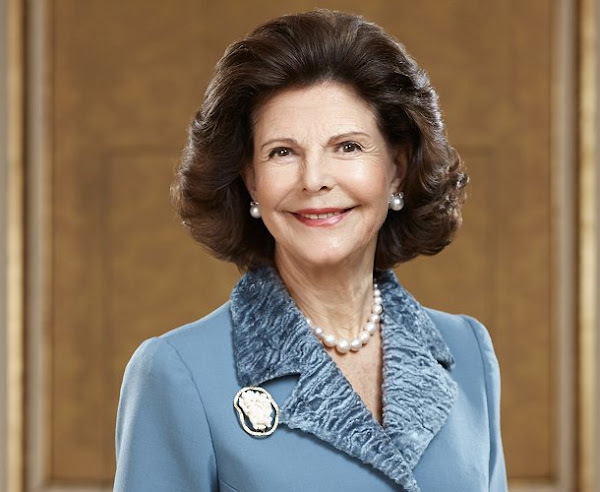 Happy birthday to you Queen Silvia of Sweden. 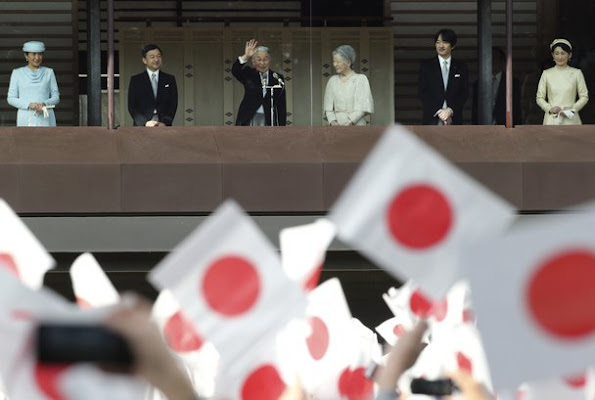 On December 23, 2016, Japan's Emperor Akihito, accompanied his family, Empress Michiko, Crown Prince Naruhito, Crown Princess Masako, Prince Akishino and Princess Kiko appears on the bullet-proofed balcony of the Imperial Palace in Tokyo, waving to hundreds of well-wishers celebrating the monarch's 83rd birthday. The emperor thanked the Japanese public for its support following his video message in August indicating his desire to abdicate. Happy birthday to you Emperor Akihito. 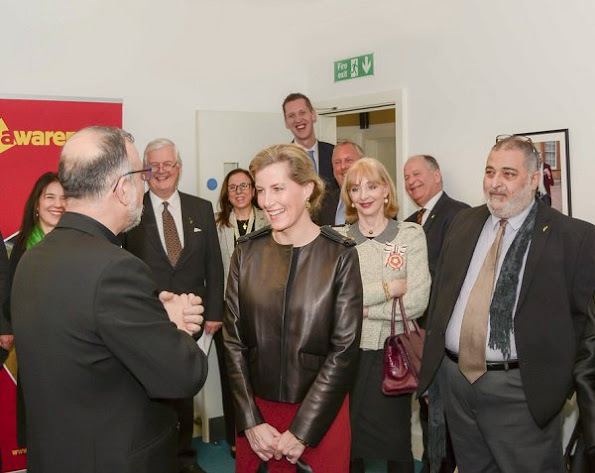 On December 22, 2016, Queen Mathilde of Belgium and King Philippe of Belgium visited the 'Buurtwerk Chambéry' association, which is a nonprofit organization at Laag Etterbeek in Brussels, Belgium. 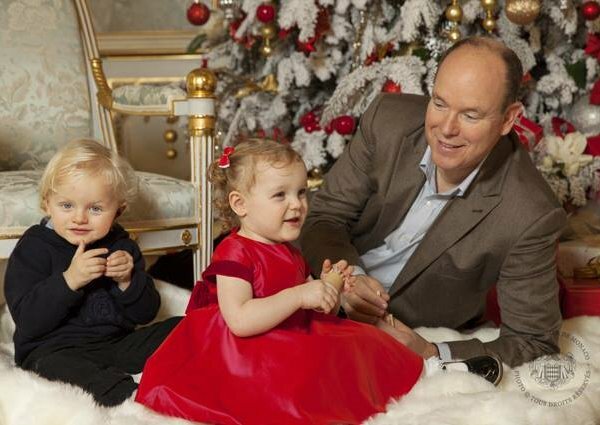 The Monaco Princely Palace on December 22, 2016 released the Monaco Princely Family's annual Christmas Card and new photos of Prince Albert, Princess Charlene and their twins, Prince Jacques and Princess Gabriella. Within the card the Princely Family send their best wishes: "May the joy and peace of the holiday season be with you in this New Year 2017." (Photos : Vanessa Von Zitzewitz / Palais Princier). 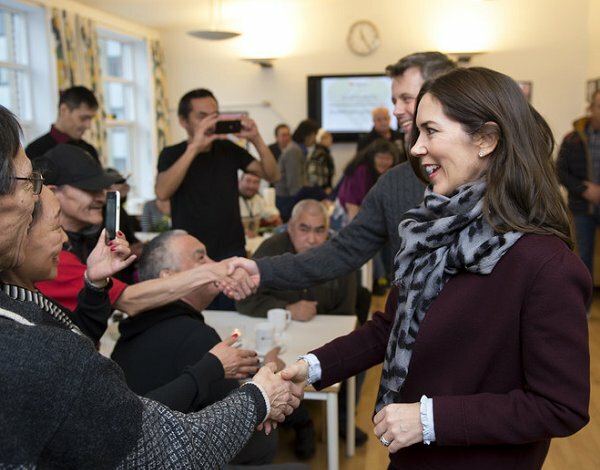 On December 21, 2016, Crown Prince Frederik of Denmark and Crown Princess Mary of Denmark visited the Morning Cafe For The Homeless (Morgencafé for Hjemløse) in Copenhagen, Denmark. Project of breakfast cafe for homeless, works to improve the lives of socially disadvantaged. 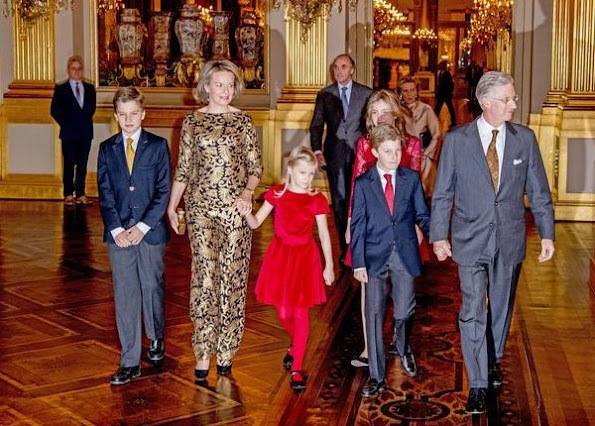 King Philippe, Queen Mathilde, Crown Princess Elisabeth, Prince Gabriel, Prince Emmanuel, Princess Eleonore, Princess Astrid and Prince Lorenz of Belgium attended traditional 2016 Christmas concert at Royal Palace on December 21, 2016 in Brussels. Princess Madeleine of Sweden attended the 2016 traditional official meeting of Swedish Academy held at Stockholm Stock Exchange Building. Swedish Academy celebrates December 20 every year with a meeting at 17:00 hours on December 20 of that year, which is the anniversary of its establishment. At that official meeting, Princess Madeleine wore a black lace maxi dress of Moni series of Self-Portrait brand. Family of Monaco Prince, that is. Prince Albert, Princess Charlene and their twins Prince Jacques and Princess Gabriella were on the cover of this week's issue of French magazine Paris Match. This photo, it will probably be the photo of the christmas card of the family. King Harald, Queen Sonja, Crown Prince Haakon, Crown Princess Mette-Marit Prince Sverre Magnus and Princess Ingrid Alexandra of Norway gathers for a Christmas photo session at the garden of the Royal Palace on December 20, 2016 in Oslo. 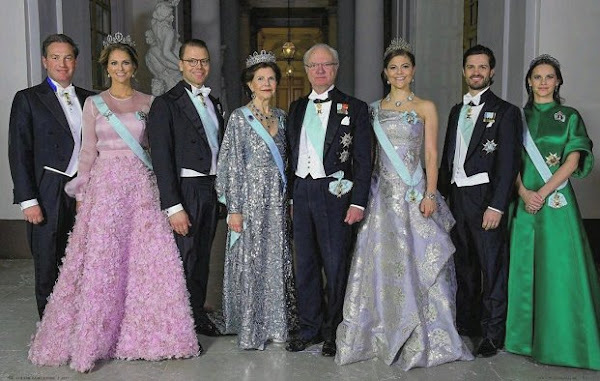 On December 20, 2016, King Carl Gustaf and Queen Silvia of Sweden, Crown Princess Victoria and Prince Daniel of Sweden, Prince Carl Philip and Princess Sofia of Sweden, Princess Madeleine of Sweden and Mr Christopher O'Neill attended the Swedish Academy's formal gathering at the Stock Exchange in Stockholm, Sweden. Prince Charles of Wales, Duchess Camilla of Cornwall, Prince William, Duchess Catherine of Cambridge, Prince Harry, Prince George, Princess Beatrice, Princess Eugenie, Mike Tindall and Zara Phillips attended the annual Christmas Lunch 2016 hosted by The Queen at Buckingham Palace on December 20, 2016 in London. Queen Mathilde of Belgium attend the opening of the "Conference on Europe's Response to Sustainability Challenges" at the Charlemagne building (CHAR) on December 20, 2016 in Brussels. Queen Mathilde gave a speech during the opening of the conference. 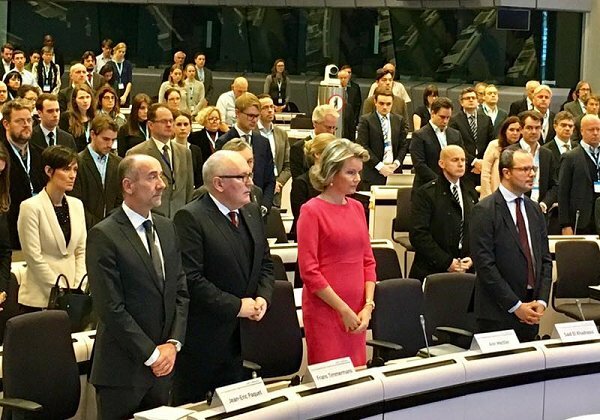 The Queen attended a minute of silence following an attack in Germany prior to the opening of the conference. A truck crashed into a Christmas market killing at least 12 people and injuring at least 48, in Berlin, Germany, on 19 December 2016. 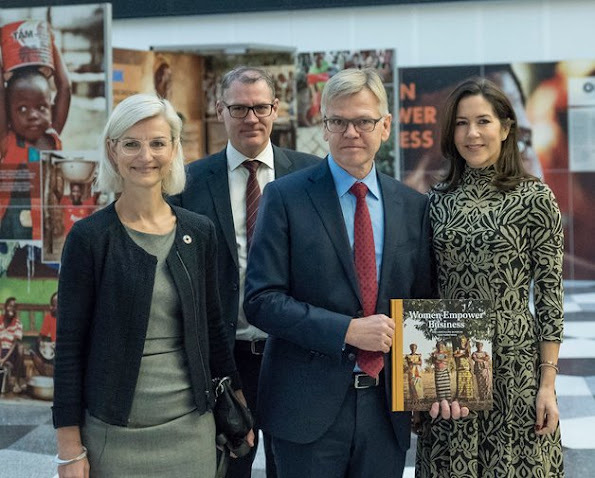 Crown Princess Mary of Denmark attended a reception held for the launch of the book called "Women Empower Business" at DI - Confederation of Danish Industry (Dansk Industri) on December 20, 2016. Women Empower Business is a photograph book which consists of the images of the exhibition that has the same name as the book. In addition, the Crown Princess wrote the preface of the book. Prince William, Duke of Cambridge, Duchess Catherine of Cambridge and Prince Harry attend a Christmas party for volunteers at The Mix youth service on December 19, 2016 in London, England. The Mix youth service works with Their Royal Highnesses' Heads Together Campaign. Duchess Catherine wears VANESSA SEWARD Cai Floral Print Silk Jacquard Dress. Princess Madeleine of Sweden was one of the representatives of royal family who attended the Nobel Prize Banquet held at City Hall in Stockholm. Princess Madeleine wore a specially designed pink rose patterned dress by Swedish designer Fadi el Khoury who is of Lebanese origin. 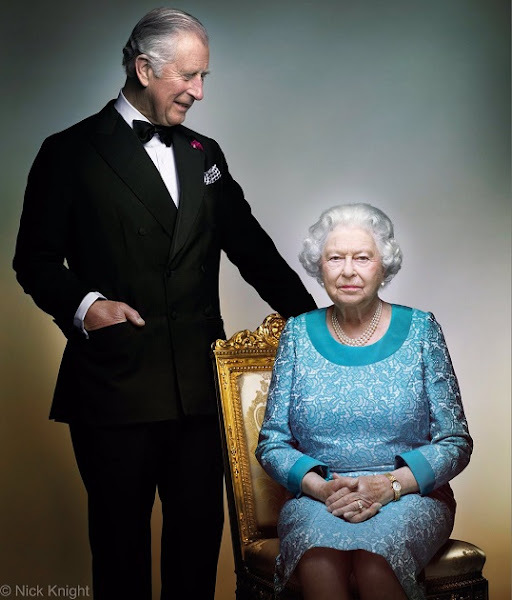 A new official portrait of Queen Elizabeth and Prince Charles was published. Yesterday, Clarence House Press Office published a new photo showing Queen Elizabeth and her inheritor Prince Charles together, which was taken in White Drawing Room in Windsor Castle before the last night of celebrations of 90th birthday of Queen Elizabeth in May 2016. The photo : was taken by Knight Nick. 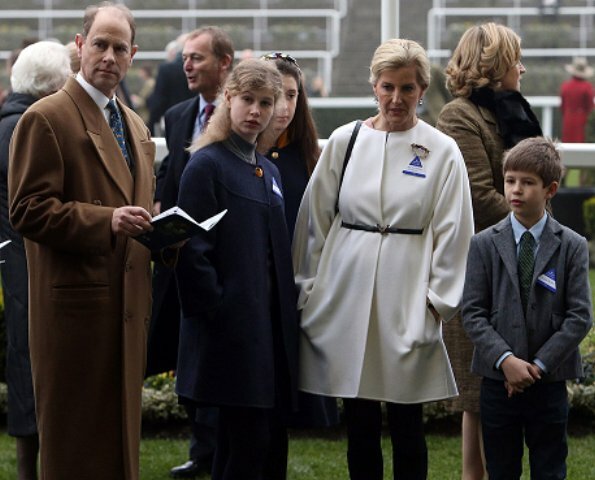 Prince Edward, Earl of Wessex, Countess Sophie of Wessex, Lady Louise Windsor, James, Viscount Severn attended the annual Christmas Racing held at Ascot Racecourse on December 17, 2016 in Berkshire, England. The Countess wore Valentino white Belted Wool and Cashmere Blend Coat and Gucci Wool Dress. 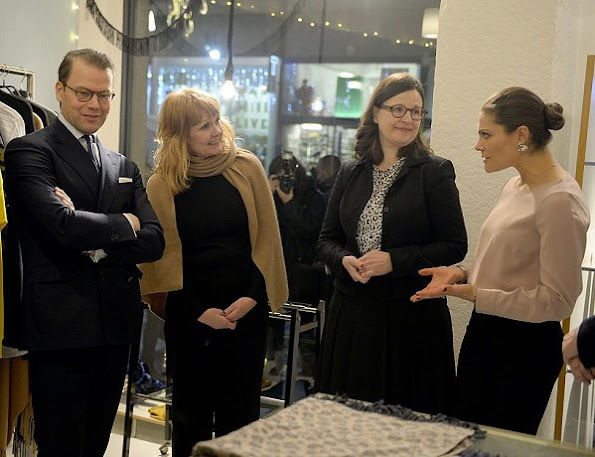 On the last day of their Italy visit, Crown Princess Victoria and Prince Daniel made a series of visits in Milan. Crown Princess Victoria, Prince Daniel, Minister of Education of Sweden Anna Ekström and Ambassador Robert Rydberg visited San Raffaele Hospital. Afterwards, the Royal Couple made a visit to the production facility of Volvo Group Milan. After that visit, the Couple went to Swedish Restaurant Björk in Milan. Yesterday evening, Swedish Princess Madeleine, her husband Chris O'Neill and their friends got together for a gorgeous dinner at the Swedish & French Restaurant Bardot, opposite Teatergrillen in Östermalm in Stockholm, Sweden. 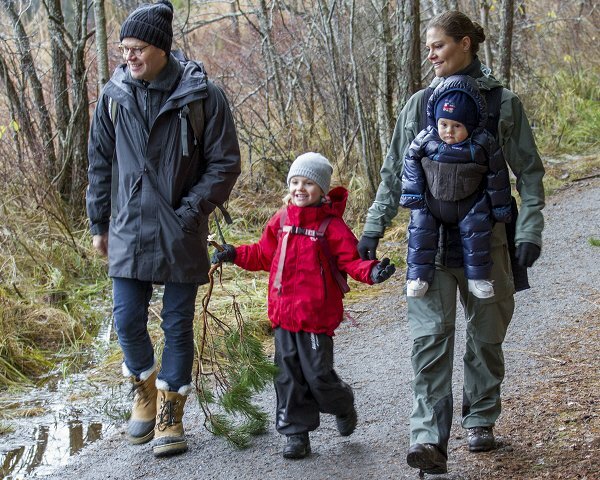 The christmas activities of Prince Albert and Princess Charlene are going on. Yesterday, Prince Albert and Princess Charlene of Monaco visited the kindergarten of Red Cross in Monaco in order to attend the show of children and give them new year gifts. The Couple also visited the Red Cross Center and presented gifts to the poor people. Grand Duchess Maria Teresa of Luxembourg hosted Nadia Murad Basee and Lamiya Aji Bashar who are Iraqi Yazidi human rights women activists at the Grand Ducal Palace of Luxembourg. Sakharov Freedom of Thought Award is a human rights award presented every December by European Parliament. 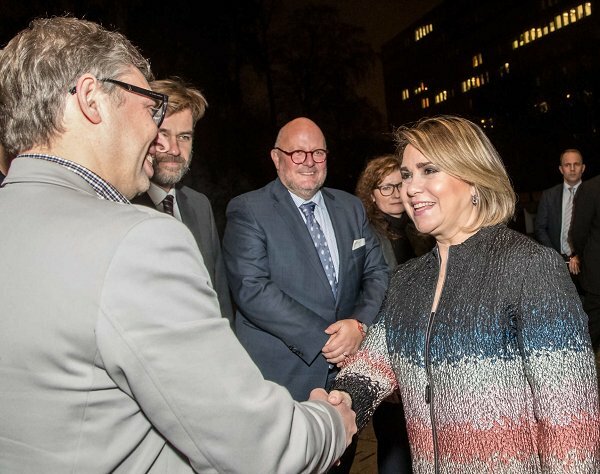 In the evening of December 14, Grand Duchess Maria Teresa of Luxembourg attended a conference on "Humanitarian status in Syria" held at Cultural Center of Syria in Luxembourg. The conference was realized by the attendance of Amnesty International and Doctors Without Borders Organization. The visit to Milan started in the concept store Frip. Crown Princess Victoria, Prince Daniel of Sweden and Swedish Minister Anna Ekström visited Swedish designer Anna Stener's concept store Frip & Frippino in Milan, Italy. Hereditary Grand Duchess Stephanie and Hereditary Grand Duke Guillaume attended the awards ceremony for the "Master Hands" (De Mains de Maîtres) held at historical BCEE building on December 15, 2016 in Luxembourg. The Jury Grand Prize was presented by Princess Stéphanie to ceramics artist Ellen van der Woude.